ANGRY residents have urged Bognor Regis town councillors to stand up for a threatened open space in the town. Some 30 people attended the council’s meeting this week to demand action to protect the Sunken Garden. The site has been earmarked by Arun District Council to be replaced by its £4m linear park regeneration scheme. But those in the public gallery at Monday’s meeting said the scheme should be resisted. She said Arun’s recent planning application for four linear park information boards showed it was intent on going ahead in spite of public opposition to the proposal. “This is another blatant attempt to bully and manipulate the residents. The people of Bognor Regis…want our voice to be heard and our ideas acted upon,” she said. She called for the town council to put up a board at the proposed park site to enable residents’ views to be displayed. She also wanted ‘honest discussions’ between the town and district councils about the future of the Sunken Garden, between the Hothamton car park and Waterloo Square. Town resident Francis Oppler, who is also a district and county councillor, said: “I beseech you to listen to residents and don’t let this (linear park) happen. You will be betraying the heart and soul of Bognor Regis. Bognor Regis Civic Society deputy chairman Hugh Coster said the town council should seek tree preservation orders for the mature specimens in the Sunken Garden to ensure their protection. He again said Arun’s claims the linear park would be bigger than the Sunken Garden were wrong. 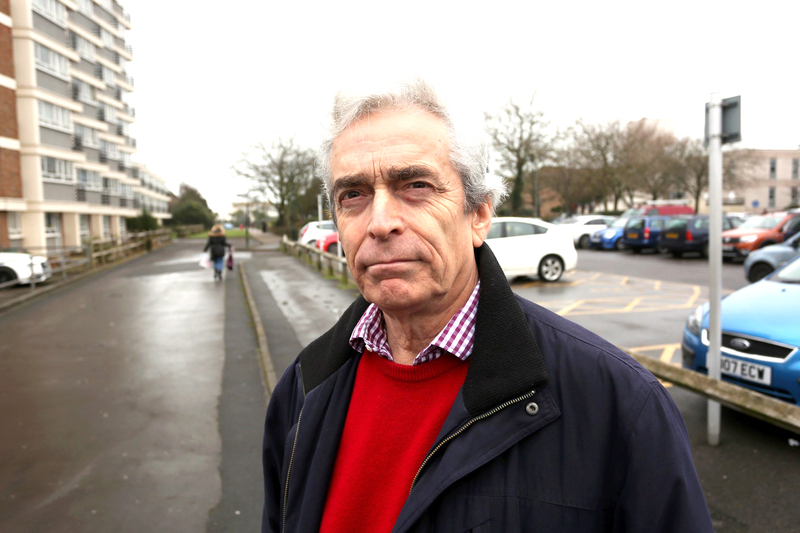 Danny Dawes said town councillors who ignored the views of residents would pay the price at next May’s elections. Jo Davis, the town council’s civic and office manager, said the council raised no planning objection to the notice boards because it had to consider planning applications in line with strict rules. “There are very specific reasons about what we can object to. We have to make our comments on what are called material considerations. “We can only look at the paperwork before us – not hearsay or speculation. All we had were the block plans and the size and the shape of the boards. “We can’t object because we don’t like the plans or what the boards are going to say,” she said. Cllr Sandra Daniells (I, Pevensey) said: “There are people who have said they want the linear park. We have got no firm plans about the linear park. There is a lot of misunderstanding about it.